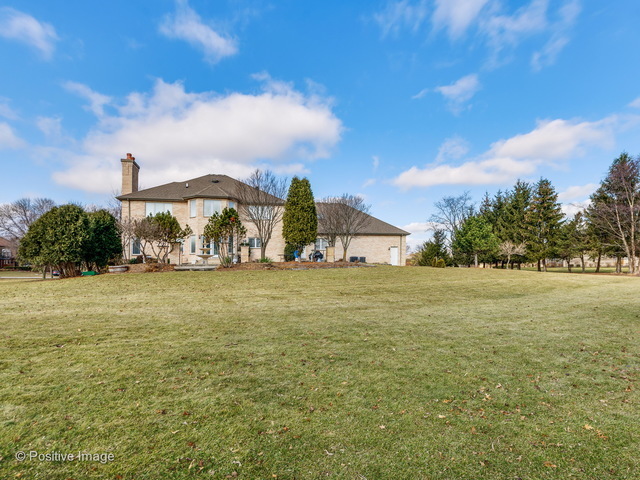 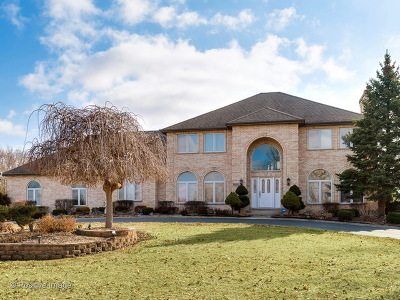 Take a look at this palatial estate in Wayne Township. 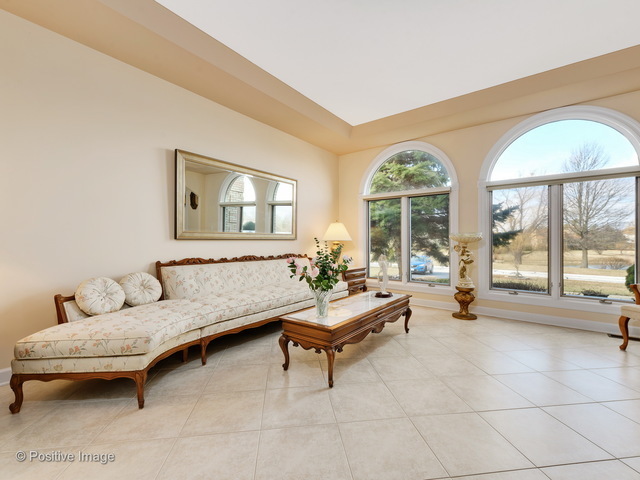 This is a large home boasting a 4400 sq ft layout with two Master suites!!! 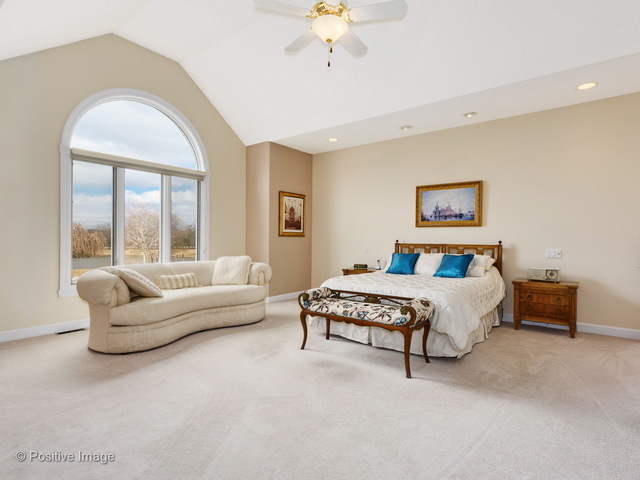 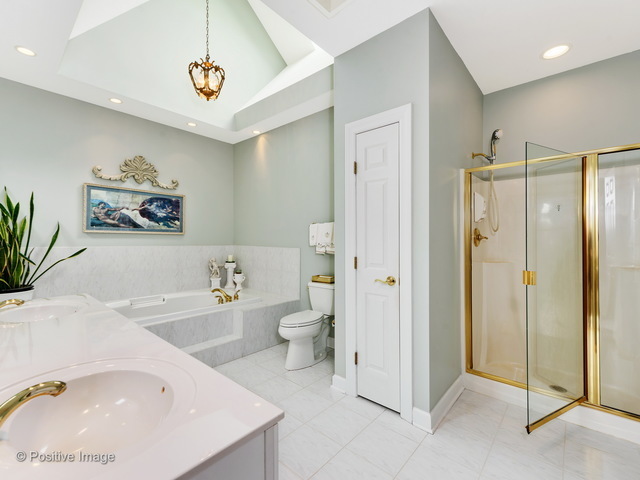 This home features a first floor master bedroom with the second master suite on the second floor. 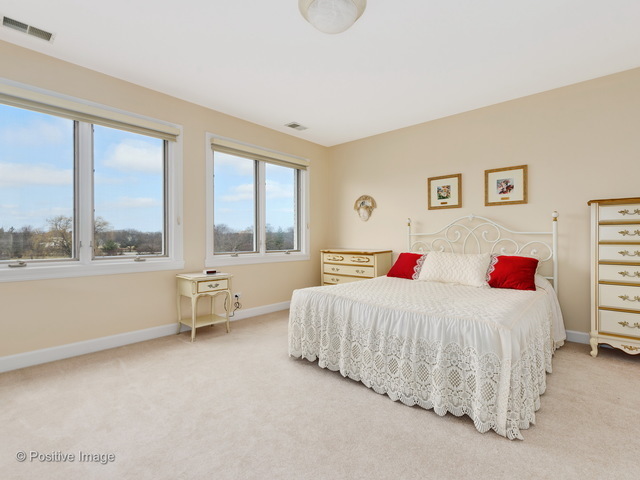 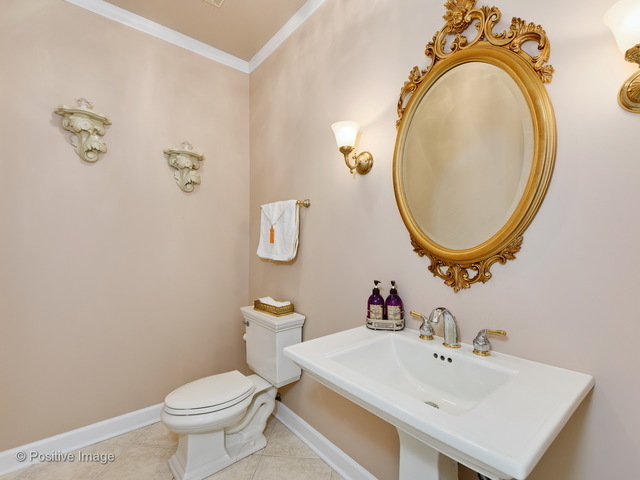 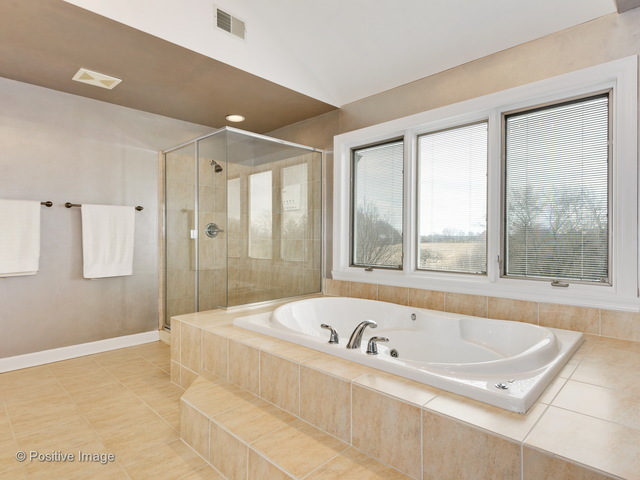 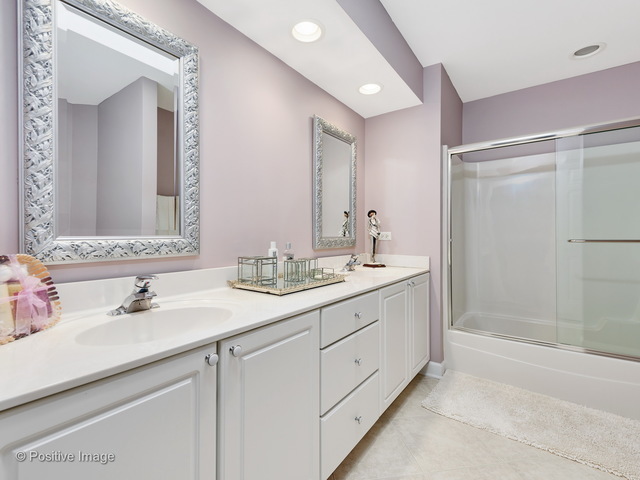 Both master bedrooms are with walk-in closets, whirlpool tubs, separate showers and double bowl sinks. 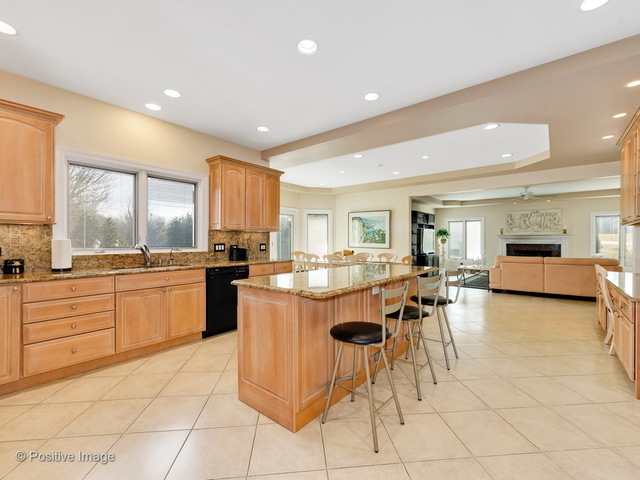 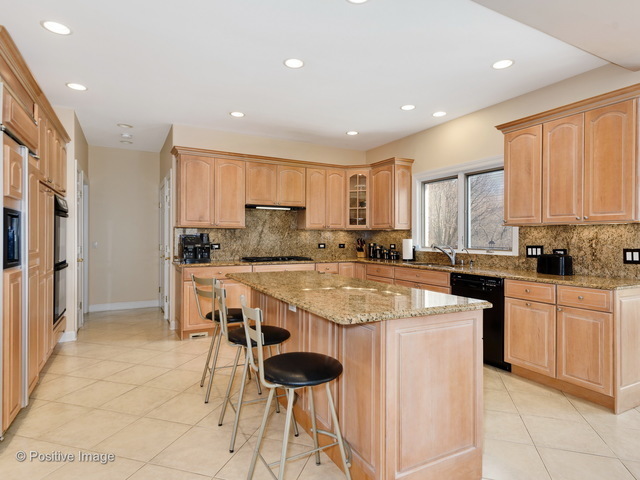 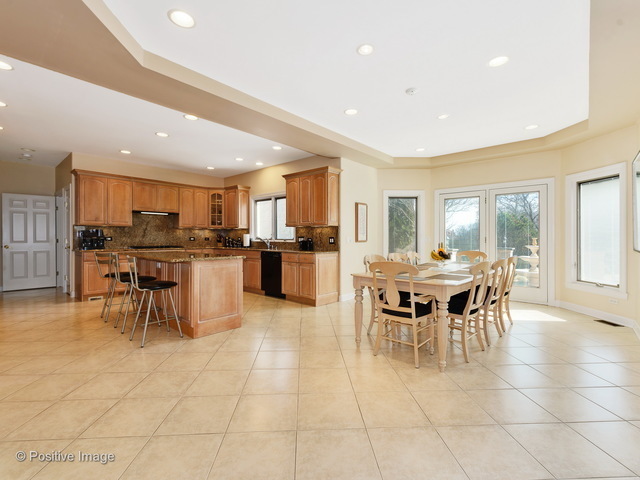 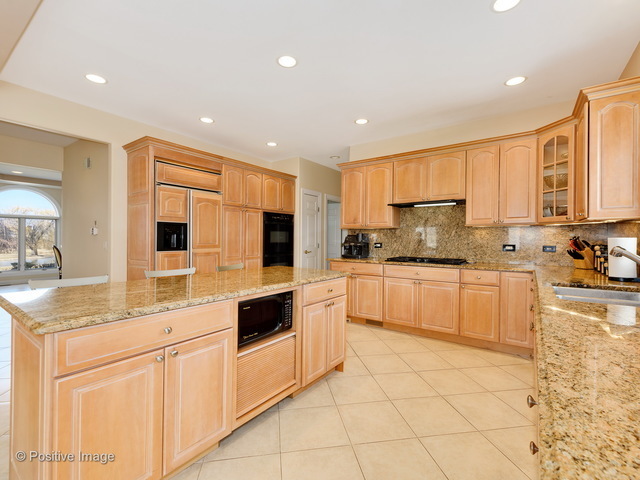 The kitchen is huge with custom cabinets, granite counter tops with a very large eat-in area overlooking the big back yard. 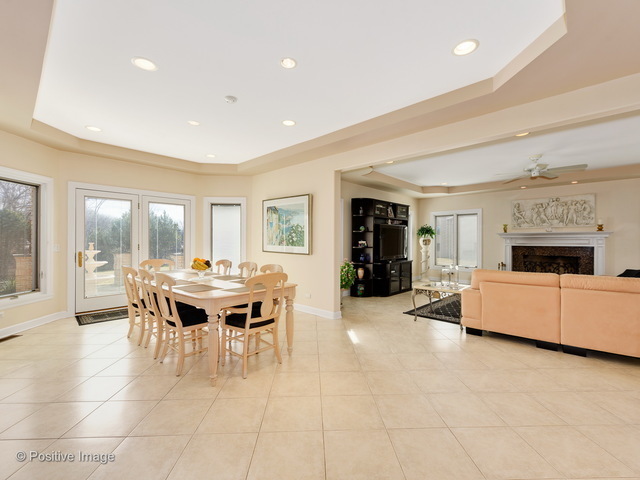 A beautiful design with a very open floor plan, cozy family room featuring a fireplace and wet bar. 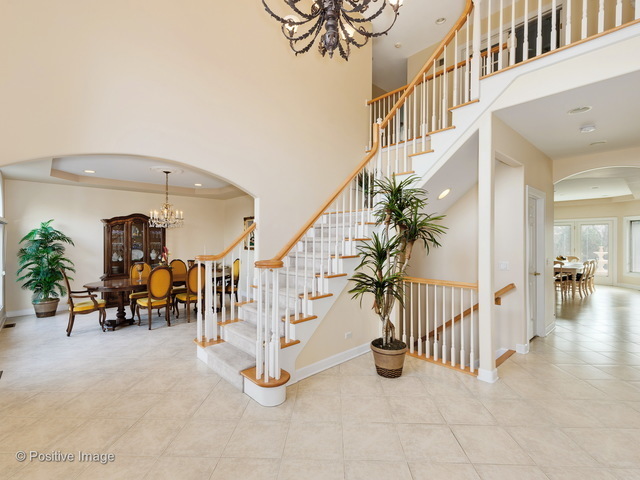 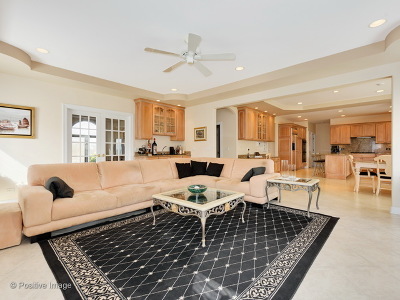 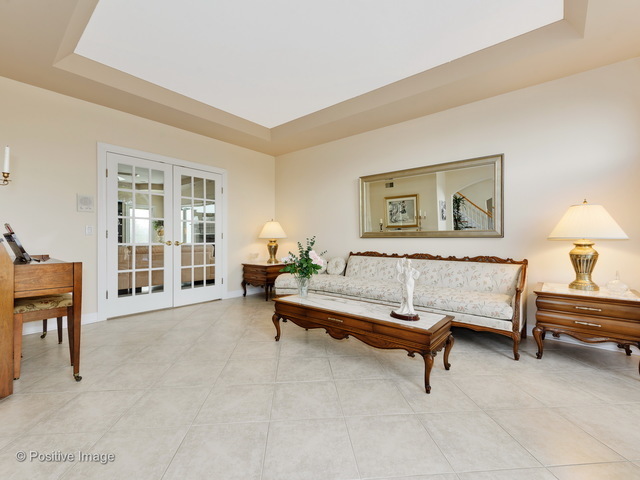 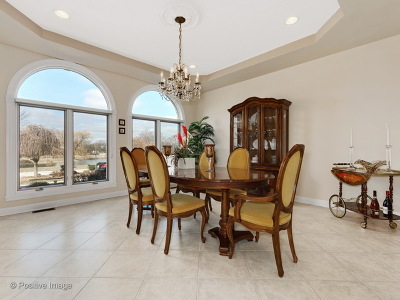 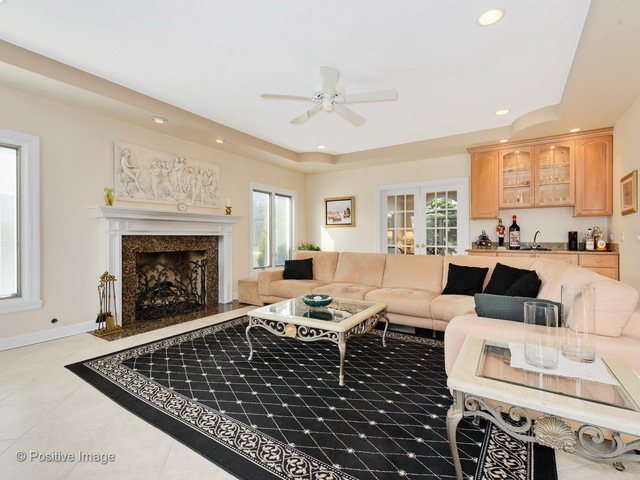 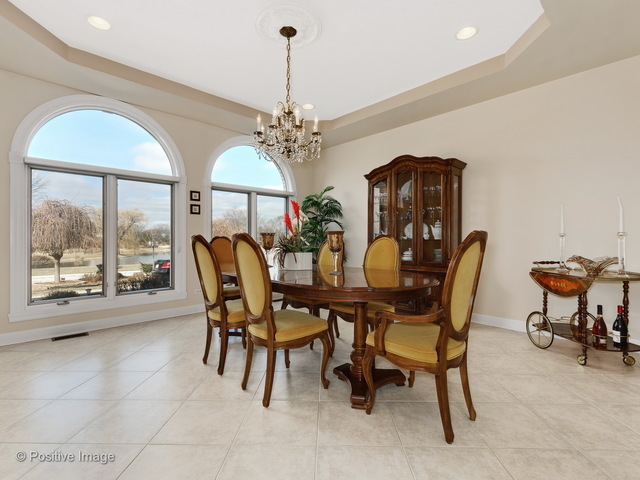 The formal living room and dining room can accommodate the largest family gatherings. 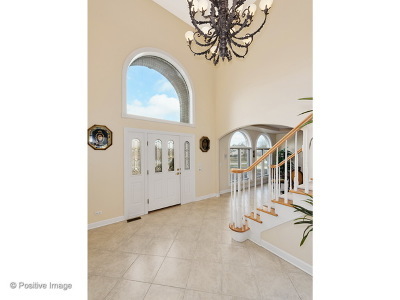 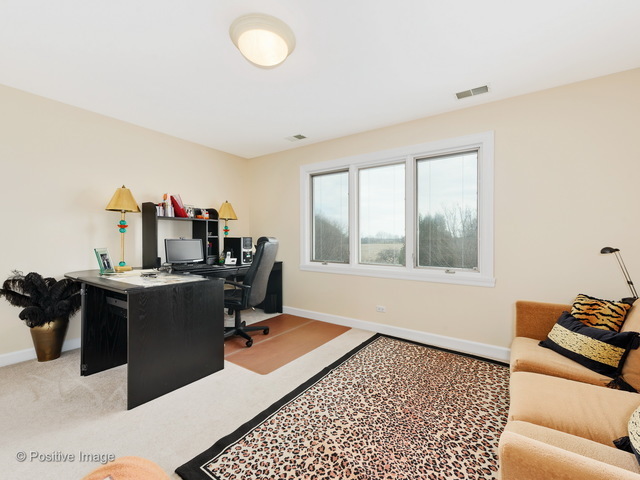 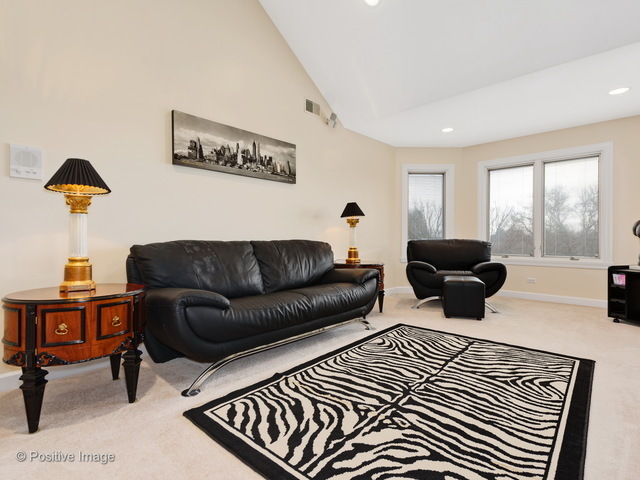 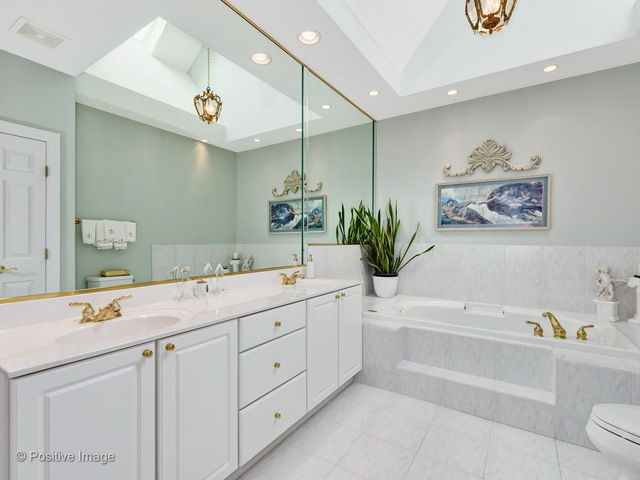 Custom trey ceilings through-out, a huge basement with exterior access to a 3 car garage. 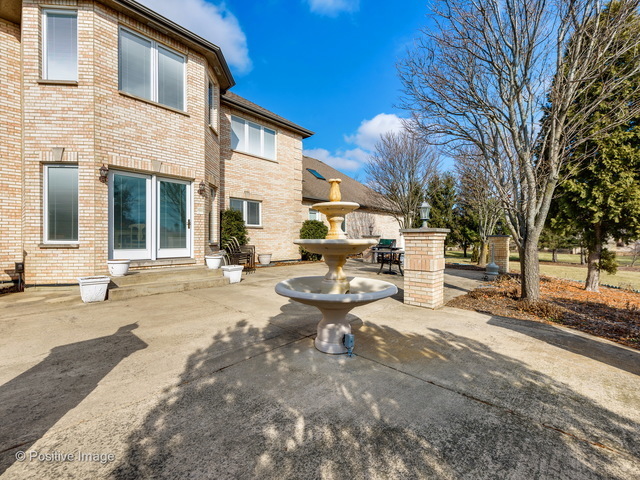 Enjoy summer nights listening to the tranquil fountain in the beautifully landscaped yard over looking the forest preserve. 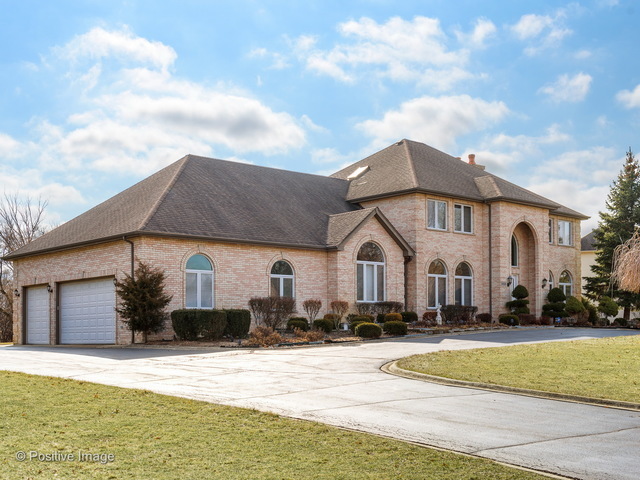 The front of this home overlooks a private pond with a circular driveway to accent the gorgeous curb appeal.